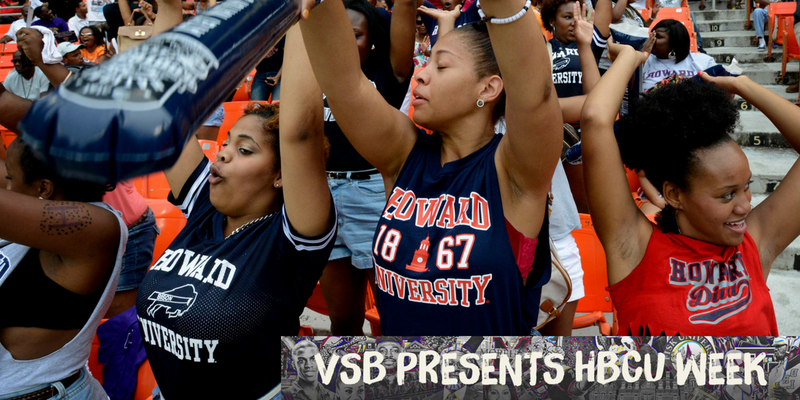 Outside of black America, very few people know about the phenomenon of the HBCU classic—the annual football games whose attendance often rivals Division I bowl games. I’ve attended so many I can’t count, but I thought I’d list my 10 favorites. Before we begin, let me make this clear: This is a list of true classic matchups. You can’t just start a series in 2015 like the Celebration Bowl and call yourself a “classic.” That’s why I want to throw things when someone refers to an album as an “instant classic.” Classics stand the test of time. I have also included some nontraditional HBCU matchups that transcend football games. This is the only classic on the list held outside of the Southeast, but it feels Southern. This classic is great because it doesn’t matter if you went to any of the schools involved. There are so few classics this far north that if you’re black, you have to go. It’s also so cute how they put forth such a valiant effort to tailgate how we do in the South, bless their little Northern hearts. They tried, though. Distinguishing characteristic: Harvard University researchers may or may not have confirmed that the parties at the Circle City Classic have the highest concentration of Gators in the continental United States. Until I visited this game, I had no idea that magenta alligators even existed. Who knew? Sometimes called the “Blerd Bowl” (for “black nerds”), this game takes place at the halfway point between the schools in Columbus, Ga. If we factored in distinguished alumni and tradition, this matchup would easily be a top five nominee, but the problem with this classic is that it is just a classic. No one leaves Atlanta to go party in Columbus for the weekend. Tuskegee is right down Interstate 85 less than an hour away from Columbus. There’s the game, and that’s it. Distinguishing characteristic: Sweater vests and khakis versus tattered camouflage and gold boots. This game takes place at ... well ... a state fair. The Texas State Fair, to be exact. No game will give you the bubble guts like cotton candy mixed with Crown Royal and carnival food. If there is one thing I’ve learned from the State Fair Classic, it’s that funnel cakes don’t mix well with warm Heineken. Of all the classic games you will attend, the attendees of this game might be the worst dressed. Maybe because everyone leaves the game around halftime to get dressed for one of the 1,233,303 “official” after-parties. While this classic only ranks No. 5 on the list, Bethune-Cookman vs. Florida A&M is the perennial classic. It has everything a classic is supposed to have. It’s in Florida, so the women are scantily clad, and every third guy did pushups all week so he could walk around with his shirt off. The tailgating is top-notch. The alcohol flows. Even the disturbing number of gold teeth are offset by the sweet blend of barbecue and marijuana smoke. Oh, and just so you know: At some point during the day, someone is gonna start shooting. Distinguishing characteristic: The cars. Everyone is flossing big rims and paint jobs that look as if someone melted down a bag of assorted-flavor Jolly Ranchers. I once saw a car at the Florida Classic painted like an actual box of Newports. The hard pack, of course. Although SC State vs. NC A&T technically started in 1924, the Turkey Day Classic is considered to be the oldest HBCU classic. This game actually takes place on Thanksgiving Day, but if you must choose between a loving family who nurtured and guided you through life and being on Alabama State’s campus on game day, just remember: Your grandma can always fix you a plate. Distinguishing characteristic: The Wednesday-night hangout at the downtown hotels. Turkey Day is also homecoming at ASU, so the protocol is to get a bottle of brown liquor and mingle through the night in the most flattering of all apparel: the homecoming outfit. The “homecoming outfit” is more important than a prom dress, a wedding gown and church clothes put together and then multiplied by itself. The Turkey Day Classic features the greatest variety of homecoming outfits ever assembled, from full-length ball gowns to the pair of jeans that you searched for all year to make your booty look like a perfect semicircle. This technically is not a “classic,” in the sense that it is neither a football game nor a single-day event. Every year, the 12 HBCUs that make up the Central Intercollegiate Athletic Association play a basketball tournament in Charlotte, N.C. The entire city turns into one big party that is like if Howard’s homecoming became sentient, snorted a line of cocaine and tried to re-create Freaknic. It is simply the best black party of the year. I’m willing to bet that less than 12 percent of the people attending know there is an actual sporting event associated with the parties. Distinguishing characteristic: The city of Charlotte shuts down at 2 a.m., but if you know someone who knows someone, get a ticket to the “Breakfast Afterparty” at the Omega Event Center. It starts at midnight and goes until 6 a.m., and the ticket includes a breakfast buffet that would rival any restaurant in town. The most famous of all the classics. Even if you’ve never been to a classic, you may have seen this one on NBC. Grambling vs. Southern is as close to being perfect as a football classic can get. It’s black Bourbon Street. I don’t know how to describe it except to say that I’ve had the time of my life every time I’ve gone to the Bayou Classic, except for that one time I had to bail my friend out of jail for assaulting a police officer. It tastes pretty good, too. If you ask someone to name the biggest black college football game in the country, they will usually guess the Bayou Classic is the largest. They are always wrong. Every year, Alabama State University faces off against Alabama A&M in the biggest HBCU sporting event in the country. I’m serious. They close down the schools and everything. Distinguishing characteristic: The Magic City Classic tailgate. You might think you have tailgated before. You haven’t. No one has until they have tailgated at Birmingham’s Legion Field. The tailgating crowd easily pushes the stadium attendance to over 100,000 on game day. The year I moved to Birmingham, I volunteered to secure a tailgating spot at the stadium for Saturday. That Tuesday night, my friend called me and asked if I needed him to bring me anything. It turns out, the only way to get a tailgating spot is to sleep in your car the Tuesday before the game so your car can be in line when they start handing out tailgating stickers. The Magic City Classic is the biggest. It has more liquor. It has better food. It has women in fur coats. It has men in hard-bottom gators. It has a march-in. It always has Frankie Beverly & Maze, Doug E. Fresh and Kid Capri (and if those three aren’t at your classic or homecoming event, that’s probably why your school isn’t on this list). I bet the Newport Chevy even comes down from Florida, drinking a Hennessy daiquiri and wearing his homecoming outfit.